Here’s a behind-the-podcasting-scenes nugget for you: before I interview anyone for our podcast, I obsessively Google them, usually all within the last 45 minutes leading up to our scheduled interview time. I like to think all the information will be fresh in my head then; it’s definitely not cramming, or anything. Right? Once on the phone, Marie adorably gushed about how helpful Maya’s been to Marie and her business partner as they start their own beverage company. As a Forbes 30 Under 30 recipient with potential partners beating down her door, Marie spoke about how Maya somehow found the time to answer Marie’s industry questions by sending thoughtful, structured paragraphs of helpful information emailed within the hour (no small feat, especially when you’re working around the clock to launch a new product line). It’s no secret that aSweatLife loves Shine Theory, and we firmly believe there’s enough success to go around — I immediately knew that I wanted to ask Maya about mentorship, especially as a female in a traditionally male-dominated industry. Tune into the podcast to listen to Maya’s takes on the importance of giving back, whether it’s to others in her industry or to the community she comes from in Chicago. 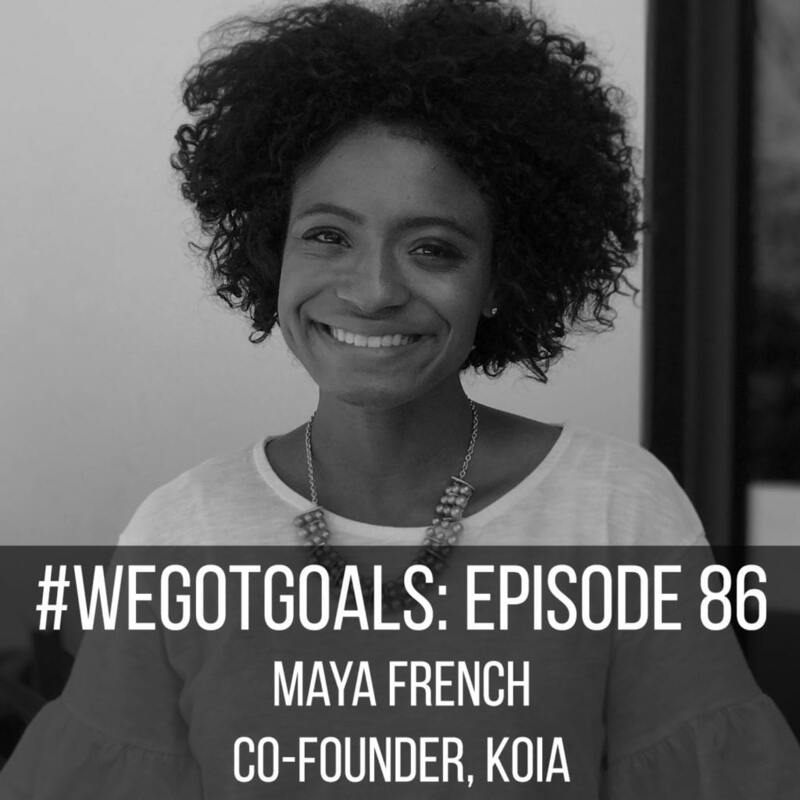 We also touched on how this incredibly successful entrepreneur puts passion before arbitrary goal-setting, and how she kept herself open to a world of possibilities before realizing she was meant to co-found Koia. If you like what you hear, great news! You can rate or review us on iTunes (each star counts, and we appreciate all of you who have taken the time to review us already!). AND, for your IRL podcast fix, we’ll be recording live at The Moxy on Thursday, February 7 with Jillian Lorenz, co-founder of The Barre Code. We’ll start recording at 6 pm, and this event is totally free — more details here!